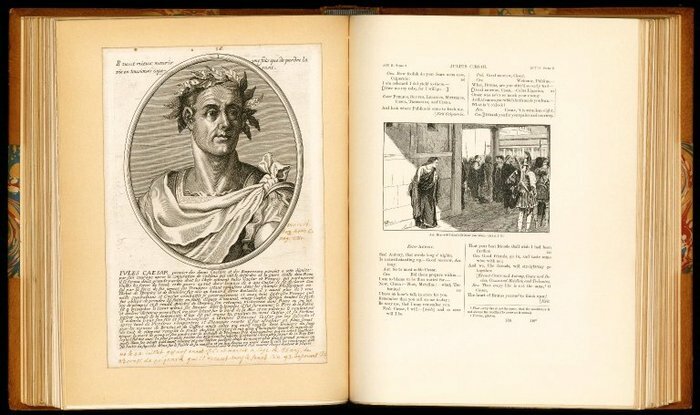 Grangerizing is the expansion of a published book by the addition of illustrative images such as prints and etchings, as well as textual material such as correspondence and playbills. The added images are affixed on extra pages rebound into the codex (i.e. interleaves) or simply added on top of the existing text (see Figure 1). This visual form of annotation draws its name from James Granger, an eighteenth-century collector, clergyman, and writer whose early use of the technique became erroneously rewritten as its origin. Grangerizing sits temporally and materially between common-placing (see Figure 2) and scrapbooking (see Figure 3), and occupies a nearly synonymous space with extra-illustrating. 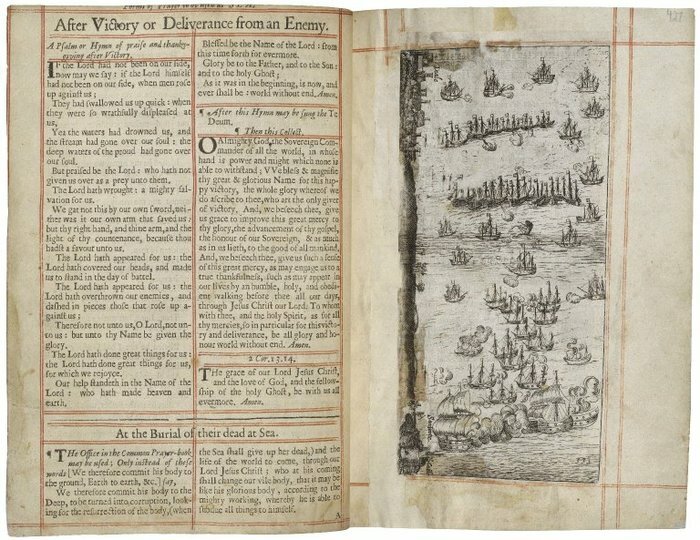 Although all these terms sometimes overlap, Grangerizing specifies a deliberate attempt to augment or rewrite a text via images, while extra-illustrating is a broad term covering any post-publication insertion of additional illustrative material into a book, common-placing was largely concerned with collecting written material such as favorite quotations, and scrapbooking largely refers to the more recent practice of using cheaply available illustrative material to create new books. Even during the period when Grangerizing often produced a means of displaying wealth and taste, a careful and often deep reading experience of the text was necessary to craft the new book, situating the technique as both a book arts and reading practice. Unlike other forms of readerly annotation such as recording marginal notes and disputations, Grangerizing shows as much about readers’ attitudes towards books as material objects as it does about reading practices in the eighteenth and nineteenth centuries. Grangerizing saw a vogue in the eighteenth and nineteenth centuries and was originally a hobby pursued by those with the wealth and time to spend procuring expensive, rare illustrations and annotating texts such as biographies and histories of specific locations. The technique’s popularity effected the price and quality of the book trade's offerings, leading to controversy among practitioners and book collectors. Interest in the technique as a means to display status died off by the end of the nineteenth century because of the introduction of cheaper, better printing techniques that made images and books available to persons of every class, but the practice survives today as an artistic technique. Building on earlier and contemporary examples of image-privileging texts, Grangerizing’s practice of undoing a codex’s binding and exploding the book makes it a precursor to all sorts of later explorations of the codex’s form and visual features, including transmedia novels, the livre d’artiste, and artists’ books. Grangerizing also stretched the possibilities of annotation, as collectors used the technique both to acknowledge and to widen the discourse field around a topic, sometimes effectively rewriting a book's focus through the addition of various media (see Figures 4 and 5 for two examples of Shakespearean augmentation). 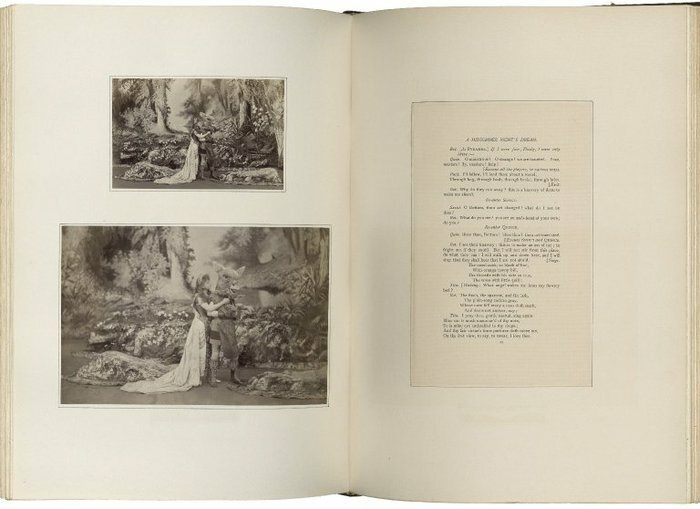 Where common-placing was mainly textual (usually quotations recorded in ink in the owner’s hand), Grangerizing was hypermediac, pulling in diverse material including etchings, prints, playbills, paintings, and correspondence (see Figure 6). Another notable difference between the techniques is the created object's intended role. Common-place books were mostly private creations, “essentially a filing system” for the owner’s favorite quotations and handy data.3 Grangerizing shifted the purpose of production to public display, with a polished object as its goal. James Granger (1723-1776) was a clergyman and collector of print and engraved authors’ portraits; his major work was the lengthily titled 1769 Biographical History of England, from Egbert the Great to the Revolution, Consisting of Characters Dispersed in Different Classes, and Adapted to a Methodical Catalogue of Engraved British Heads. Intended as an Essay towards Reducing Our Biography to a System, and a Help to the Knowledge of Portraits; with a Variety of Anecdotes and Memoirs of a Great Number of Persons Not to Be Found in Any Other Biographical Work. With a Preface, Showing the Utility of a Collection of Engraved Portraits to Supply the Defect, and Answer the Various Purposes of Medals (see Figure 7). The Biographical History contains brief biographies of famous people alongside written lists of their portraits. While a fad grew around the addition of the actual portrait images into personal copies of this work, Granger’s innovation was to produce catalogues of the existing portraits of persons named in his text; these lists provided an antidote to the more easily accessible, but often poorly struck images of famous persons on medals. The popular hobby of Grangerizing initiated a schism in the world of bibliophiles; a group that had long valued the preservation of fine examples of the book arts as they were published now found many of its members elevating not what a book already was, but what it could be. Devotees of Grangerizing argued that their reuse of visual material from other books was an “exquisite handicraft” that made use of texts that would otherwise have been junked.11 This reuse of multiple books in the remaking of one codex is another factor where Grangerizing and extra-illustration tended to differ; Grangerizers freely cannibalized other books to find the best images for their chosen text, while “extra-illustration” was a term usually applied to techniques that did not leave other books mutilated.12 This cutting up of books not only caused a divide among book collectors, but saw as controversy in the general public; where the Grangerizers saw their work as curation and preservation of the best in image and text, others pointed to the increasing likelihood of encountering mutilated books with images (and often nearby text) snipped out. The wealth required to not only locate and purchase images matching the needs of a Grangerized book, but also be willing to cut up a work containing a needed image (thus reducing the expensively procured source text’s value and readability) points to a limited class of hobbyists capable of pursuing this technique. For a few decades, Grangerizing was both popular and prohibitively expensive; by the mid-1800s, though, innovations in printing radically widened the circle of who could participate.22 Suddenly, everyone had access to both affordable books and images–although the latter, often clipped from newspapers and magazines, were frequently of lower quality. Grangerizing’s reliance on locating rare prints or specially commissioning art were no longer barriers to taking up a hobby involving repurposed books and art, and a new pursuit–scrapbooking–was born. Old guard Grangerizers responded by emphasizing the cost and rareness of their materials, only using images from the new periodicals if they could split the paper (removing the printing on its back, which often showed through), a procedure too expensive for the non-wealthy Grangerizer.23 Despite these strategies, Grangerizing's vogue ended with its loss of social exclusivity. Scrapbooking is the process of making completely new books by pasting blank pages with newspaper columns, obituaries, advertisements, drawings, and other images that the maker for some reason wished to preserve. 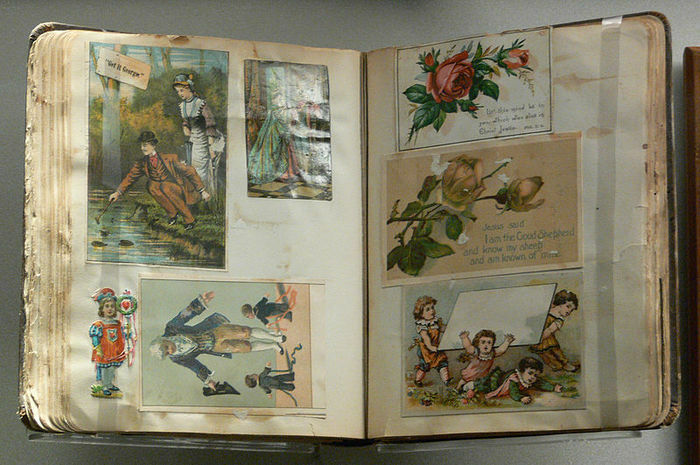 Scrapbooks could be thematic or miscellaneous, rather like an image-inclusive version of the old technique of common-placing. Where Grangerizing involved the careful and expensive creation of image-stocked codices for public display, scrapbooking was a distinctly personal and cheap hobby, though its pursuit was certainly not without care or craft. Scrapbooking was a more egalitarian activity than Grangerizing, pursued without exclusivity of class, gender, or age; in some families, each new periodical or printing was passed around so that each member could remove the pieces pertinent to his or her personal scrapbook.24 While scrapbooks were treasured objects often shared with visitors and friends, the hobby was much less about public ostentation than Grangerizing and more about art for art’s sake and the joy of collecting and organizing. This shift in emphasis led the way for Grangerizing to become less a symbol of status and more a thoroughly artistic technique. Grangerization continues today as an artistic technique for rewriting the purpose of the original text, as with Pinkney Marcius-Simons’ painting over the pages of A Midsummer Night’s Dream.29 Modern e-lit and research on digital reading often carry over knowledge about the affordances of the print book when exploring the possibilities of digital space;30 Grangerizing’s legacy, as a technique that explored the limits of codex form, supports these creative and critical engagements with digital space. 1 Erin C. Blake, and Stuart Sillars, Extending the Book: The Art of Extra Illustration, curated exhibit (Washington, DC: Folger Shakespeare Library, 2010), 4. See also https://folgerpedia.folger.edu/Extra-illustrated_books. 2 Armando Petrucci, Writers and Readers in Medieval Italy, Charles M. Radding, ed. and trans. (Yale University Press, 1995), 1-18. 3 H. J. Jackson, Marginalia: Readers Writing in Books (Yale University Press, 2001), 184. 4 Ibid., 186. 5 Ibid., 189; Blake and Sillars, 4-8. 6 Little Gidding concordance, New Testament Gospels. Little Gidding, 1630, A 1275.5. Houghton Library, Harvard University, Cambridge, Mass. http://nrs.harvard.edu/urn-3:FHCL.HOUGH:10090806; "The Life and Morals of Jesus of Nazareth," reassembled by Thomas Jefferson from the New Testament Gospels ca. 1819, currently owned by the Smithsonian National Museum of American History. ; Lori Anne Ferrell, The Bible and the People (Yale University Press, 2008), 161-70. 7 Jackson, Marginalia, 186. 8 Blake and Sillars, 4-5. 9 Jackson, Marginalia, 190. 10 Ibid., 187, 282. 11 Blake and Sillars, 4. 12 Jackson, Marginalia, 186. 13 Blake and Sillars, 4. 14 Jackson, Marginalia, 189. 15 Andrew Lang, The Library, 2nd ed., reprint (Whitefish, MT: Kessinger Publishing, 2005), 56-9; as cited in Holbrook Jackson, The Anatomy of Bibliomania, 2nd printing (New York: Farrar, Straus and Co., 1950), 573. 16 Daniel M. Tredwell, A Monograph on Privately-Illustrated Books. A Plea for Bibliomania (Lincoln Road, Flatbush, Long Island: Privately Printed, 1892), 11; as cited in Jackson, Marginalia, 189-90. 17 Ellen Gruber Garvey, "Imitation Is the Sincerest Form of Appropriation: Scrapbooks and Extra-Illustration," Commonplace, 7.3 (2007), accessed June 25, 2013, http://www.common-place.org/vol-07/no-03/garvey/. 18 Sheena Stoddard, Bristol Before the Camera: The City in 1820–30, (Bristol: Redcliffe, 2001), 7. 19 Henry Stooks Smith, The Parliaments of England, 2nd ed, F.W.S. Craig, ed. (Chichester: Parliamentary Research Services, 1973), 119-20. 20 Jackson, Marginalia, 191. 21 "Granger, James," Dictionary of National Biography, vol. 22, Leslie Stephen, ed. (London: Smith, Elder, & Co., 1890), 373. 22 Garvey. 23 Ibid. 24 Ibid. 25 Blake and Sillars, 5. 26 Koenraad Claes, and Marysa Demoor, "The Little Magazine in the 1890s: Towards a 'Total Work of Art'", English Studies, 91.2 (2010):, 133-49. 27 Ibid., 134. 28 Claes and Demoor, as cited in Amanda Visconti, "'I Must Create a System: Hacking the Book from Blake to the Blake Archive," May 2012, http://digitalliterature.net/bookhacking.. 29 Ibid., 189; Blake and Sillars, 23. 30 Matthew Kirschenbaum, "Bookscapes: Modeling Books in Electronic Space," paper presented at the Human-Computer Interaction Lab 25th Annual Symposium, University of Maryland, May 28-29, 2008. Blake, Erin C., and Stuart Sillars. Extending the Book: The Art of Extra Illustration. Curated exhibit. Washington, DC: Folger Shakespeare Library, 2010. Claes, Koenraad, and Marysa Demoor. "The Little Magazine in the 1890s: Towards a 'Total Work of Art'". English Studies, 91.2 (2010): 133-149. Ferrell, Lori Anne. The Bible and the People. Yale University Press, 2008. "Granger, James." Dictionary of National Biography. Vol. 22. Leslie Stephen, ed. London: Smith, Elder, & Co., 1890. 372-74. Jackson, Holbrook. The Anatomy of Bibliomania. 2nd Printing. New York: Farrar, Straus and Co., 1950. 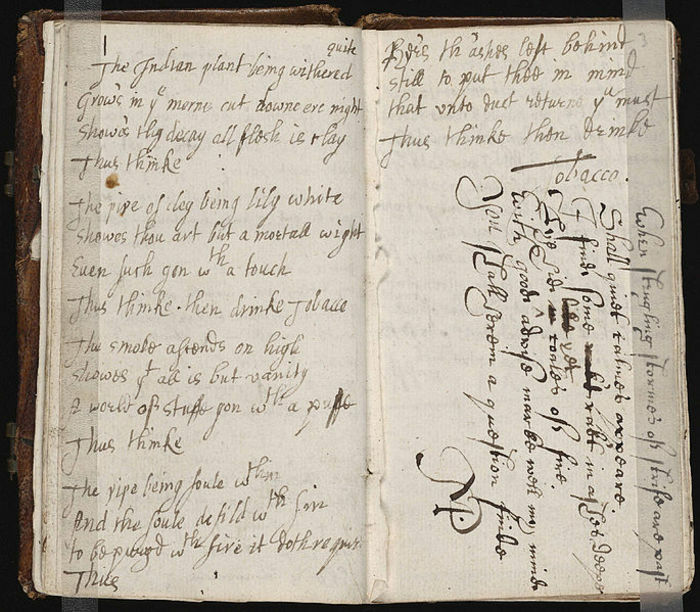 Jackson, H. J. Marginalia: Readers Writing in Books. New Haven, CT: Yale University Press, 2001. "The Life and Morals of Jesus of Nazareth." Reassembled by Thomas Jefferson from the New Testament Gospels ca. 1819. Currently owned by the Smithsonian National Museum of American History. Kirschenbaum, Matthew. "Bookscapes: Modeling Books in Electronic Space." Paper presented at the Human-Computer Interaction Lab 25th Annual Symposium, University of Maryland, May 28-29, 2008. Lang, Andrew. The Library. 2nd ed. Reprint. Whitefish, MT: Kessinger Publishing, 2005. Petrucci, Armando. Writers and Readers in Medieval Italy. Charles M. Radding, ed. and trans. Yale University Press, 1995. Stoddard, Sheena. Bristol Before the Camera: The City in 1820–30. Bristol: Redcliffe, 2001. Stooks Smith, Henry. The Parliaments of England. 2nd ed. F.W.S. Craig, ed. Chichester: Parliamentary Research Services, 1973. 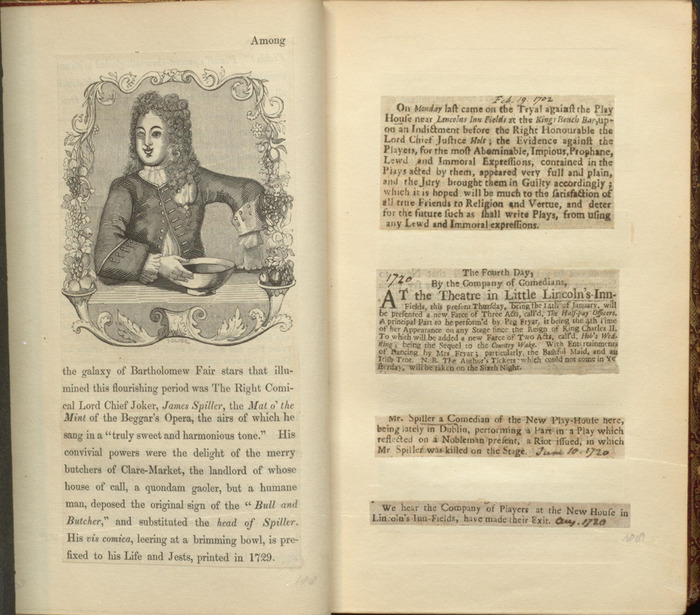 Tredwell, Daniel M. A Monograph on Privately-Illustrated Books. A Plea for Bibliomania. Lincoln Road, Flatbush, Long Island: Privately Printed, 1892. Visconti, Amanda. "'I Must Create a System: Hacking the Book from Blake to the Blake Archive." May 2012. http://digitalliterature.net/bookhacking. Andrews, William Loring. Of the Extra Illustration of Books. Reproduction of 1900 printing. Charleston, SC: Nabu Press, 2010. Browne, Irving. An Account Of Some Books Containing Extra Illustrations, In A Private Library. Reproduction of 1874 printing. Charleston, SC: Nabu Press, 2012. Drucker, Johanna. "Artists' Books Past and Future." Figuring the Word: Essays on Books, Writing, and Visual Poetics. New York: Granary Books, 1998. 167-212. Drucker, Johanna. "Graphesis: Visual Knowledge Production and Representation." Poetess Archive Journal, 2.1 (2010): 1-50. Drucker, Johanna. The Century of Artists' Books. New York: Granary Books, 1995. Frye, Northrop. "Poetry and Design in William Blake." The Journal of Aesthetics and Art Criticism, 10.1 (1951): 35-42. Lang, Andrew. The Library. London: MacMillan & Co., 1881. McGann, Jerome. "Visible and Invisible Books: Hermetic Images in N-Dimensional Space." New Literary History, 32.2 (2001): 283-300. Mellby, Julie. "Asher B. Durand: Extra-Illustrated or Grangerized?" Graphic Arts: Exhibitions, acquisitions, and other highlights from the Graphic Arts Collection. Princeton University Library. July 18, 2009. Accessed June 26, 2013. http://blogs.princeton.edu/graphicarts/2009/07/durand.html. Peltz, Lucy. 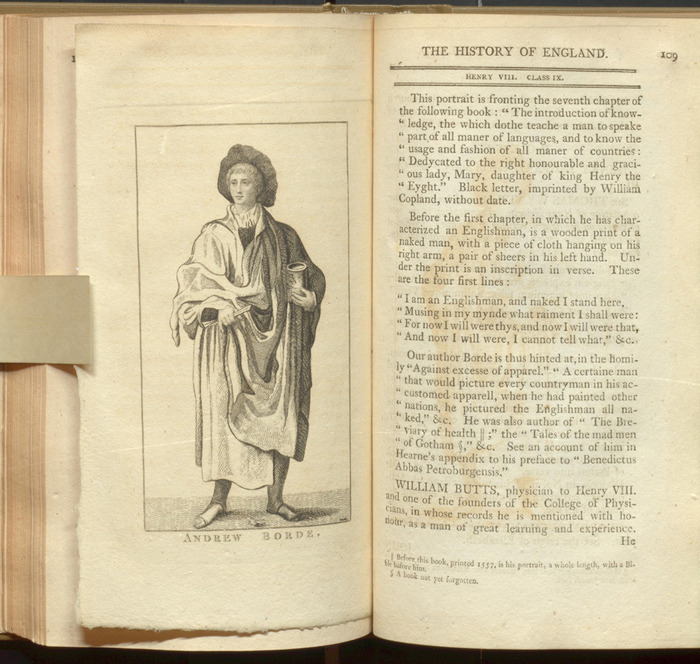 "The Cut and Paste of English History." Country Life, 24.31 (1998): 66-68. Peltz, Lucy. "The Extra-Illustration of London: Leisure, sociability and the antiquarian city in the late-eighteenth century." Ph.D. thesis, Manchester University, 1997. Peltz, Lucy. "The Extra-Illustration of London: The gendered spaces and practices of antiquarianism in the late eighteenth century." In Producing the Past: Aspects of Antiquarian Culture and Practice, 1700-1850. Martin Myrone and Lucy Peltz, eds. Farnham, Surrey, United Kingdom: Ashgate, 1999. 115-134. Shillingsburg, Peter L. From Gutenberg to Google: Electronic Representations of Literary Texts. Cambridge University Press, 2006. Wark, Robert R. "The Gentle Pastime of Extra-Illustrating Books." The Huntington Library Quarterly, LVI.2 (1993): 151-165.